The Economy range for working dogs is a competitively priced range of high quality, affordable healthy dog food! It's a range of 3 complete products to sustain health and vitality, priced to meet the demands of today. Our most inexpensive healthy dog food is a bulk buy option for those with large packs of working dogs. 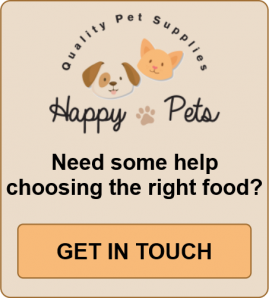 The Happy Pets Economy range products are the most comparable to the typical low cost grocery store dog feeds. Call today or make your choice above to order online.